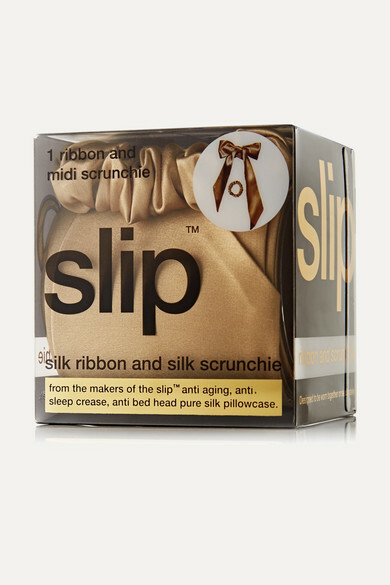 Slip's hair accessories are made from the brand's signature Slipsilk™ fabric that keeps locks smooth, shiny and crease-free. The soft tie has an elasticated band, while the fluid ribbon is designed to wrap freely around tousled chignons or low ponytails. Wear yours together or separate.